The typical active member of the LDS Church regards any literature, movie, music or picture as anti-Mormon if it disagrees or opposes their belief system in any way. In addition to all that it’s important to keep in mind that anti-Mormon isn’t limited to animated or non-animated things; people can be anti-Mormon as well. Under those guidelines it’s obvious that according to the LDS Church and its members, this ministry is considered to be anti-Mormon. Therefore, I’m an anti-Mormon, and anyone who questions the Church is anti-Mormon. Of course the problem with this labeling system they’ve chosen to employ I pray would be obvious to any non-Mormon. We’re not anti-Mormon, but we are anti-Mormonism! I don’t know of one single Mormon that I hate or hold any animosity towards. And yes, being a 6th generation ex-Mormon from Utah I personally know my fair share of Mormon people. I do protest against LDS doctrines, but the Mormon has a difficult time separating him or herself from believing they are the doctrines of the Church, thus their belief that we’re anti-Mormon. We’ve written a few articles on this you can access here. They give great insight as to how members of the Church think of outsiders and will give you valuable info on how to approach and witness your Mormon neighbors! If Christians are anti-Mormons, are Mormons anti-Christians? 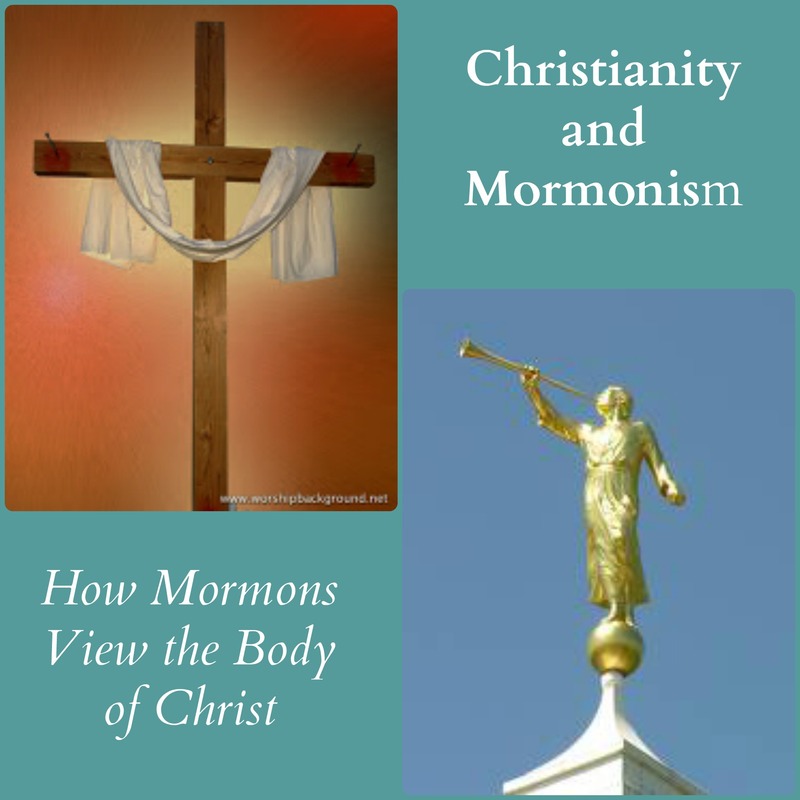 Is Mormonism Really Just Another Christian Religion? A group of Mormons post a 95 Point LDS Thesis on every door of LDS ward buildings in Utah on October 31, 2013. Their objective is to shine light on the secrets of Mormonism and to call the leaders of the Church to come clean about everything concerning the Church. Is Satan the head of Christianity as the Mormons claim? Joseph Fielding McConkie, Professor of Ancient Scripture, BYU, announced to members they should never allow anti-Mormon outsiders tell them what they believe even if the info is true. Paid Ministry or Lay Ministry? Does the Mormon Church really have a non-paid ministry church? Why do Mormons not like that Christians pay their leaders? Boyd Packer said nothing about Mormonism is hidden, and the ‘self-appointed spokesmen’ of so-called Christianity spend their time scoffing at Mormons anyway. Our experience of being harassed by an angry Mormon. No, Mormons do not regard every thing that disagrees or oposses them as anti Mormon. What is anti Mormon is HOW one goes about opossing the Mormon church, how rhey say what they say, and their actions. Picketing Temples by the opossition mocking our beliefs and telling us we are going to hell, twisting words to fit your agenda, quote mining, using ellipses to make a quote say something different than what it really said, in other words, using deceptive tactics, mocking, ridiculing, calling names, picketing every thing Mormon, dragging our Scriptures through the street and stepping on them, dragging our Sacred under clothing on the ground, and so much more, much more. THAT is anti Mormonism. Anti means “against”, and someone who spends time tearing a religion down and making a caricature of Mormon beliefs IS anti Mormon. I am not anti Evangelicalism when zI picket your olace of worship, or make fun of your beliefs on a blog, or tell what you REALLY believe, I am just anti Evangelicalism. So when you see me yelling at you, calling you names and condemning you to hell, I really love you. Another thing, and this is a true story. I was harassed and abused by an Evangelical person who worked with one of my oarents. The Evangelical did not have the guts to show her contempt of Mormons to my parents, so she showed it to me, a twelve year old when it started. And to this day when I run into her, she is filled with vitriol and hate towards me. I have been ridiculed, mocked, discriminated against for being Mormon my whole life by many people. It is sites like this that encourage oeople to abuse LDS people. So yes you are very anti Mormon. EG, use your spell check. Your comments are good. Slow down.